All sorts of things here, some are elsewhere on the website, but not all! 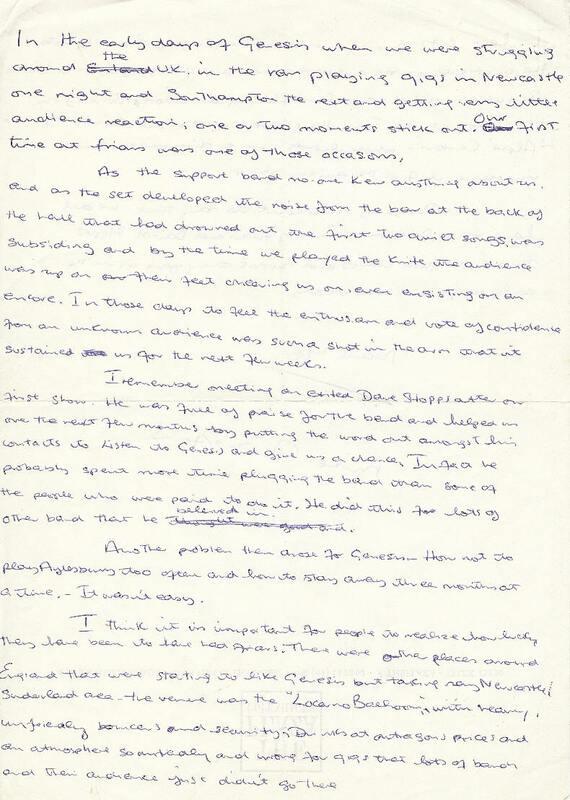 To celebrate the 40th anniversary, Shindig did a feature on Friars penned by our own Kris Needs. Click on the article to view it. 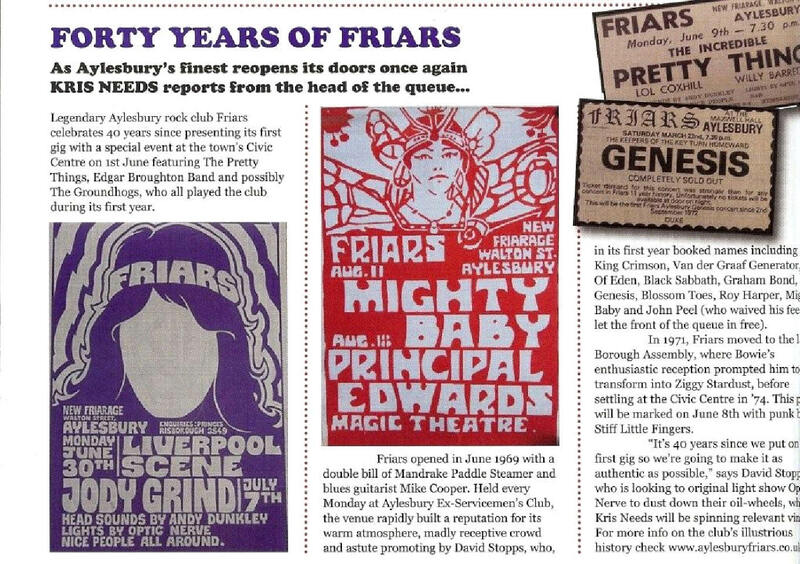 Additionally, we have been featured in Mojo and Dr Feelgood at Friars pictures were used in a 2010 feature on the band. 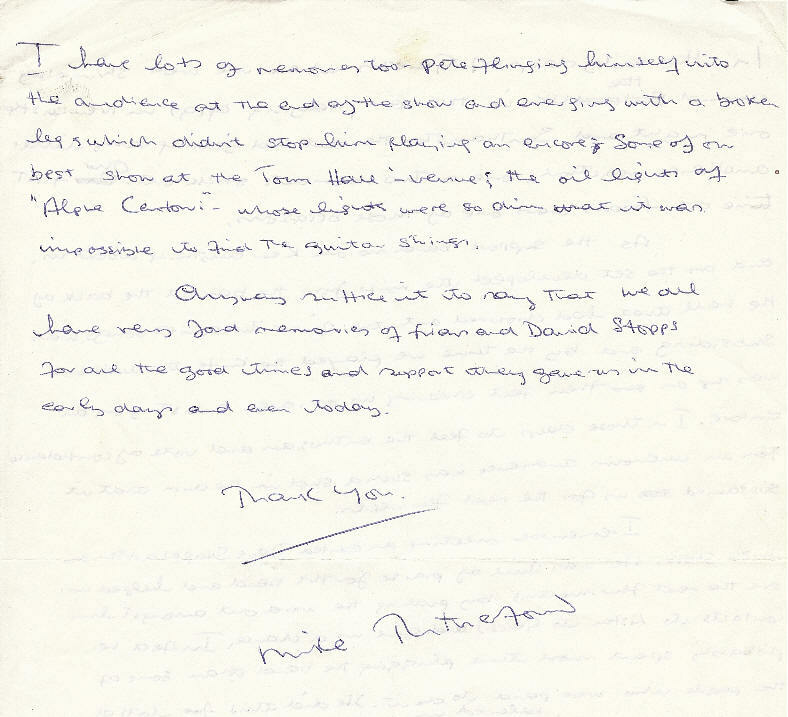 Many books and publications have asked us for stuff which is so flattering. 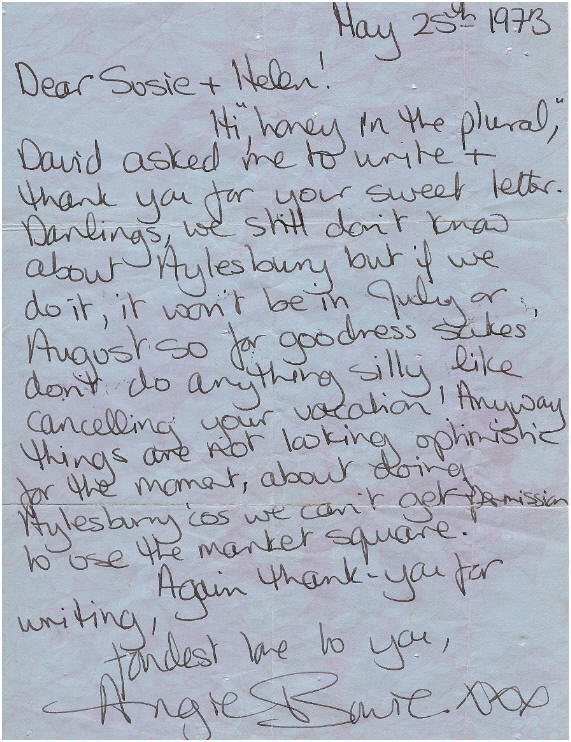 In 1973, Friars fan Susy Batchelor received this hand written letter from Angie Bowie concerning David playing Friars in 1973. Our grateful thanks to Susy for allowing us to use this. 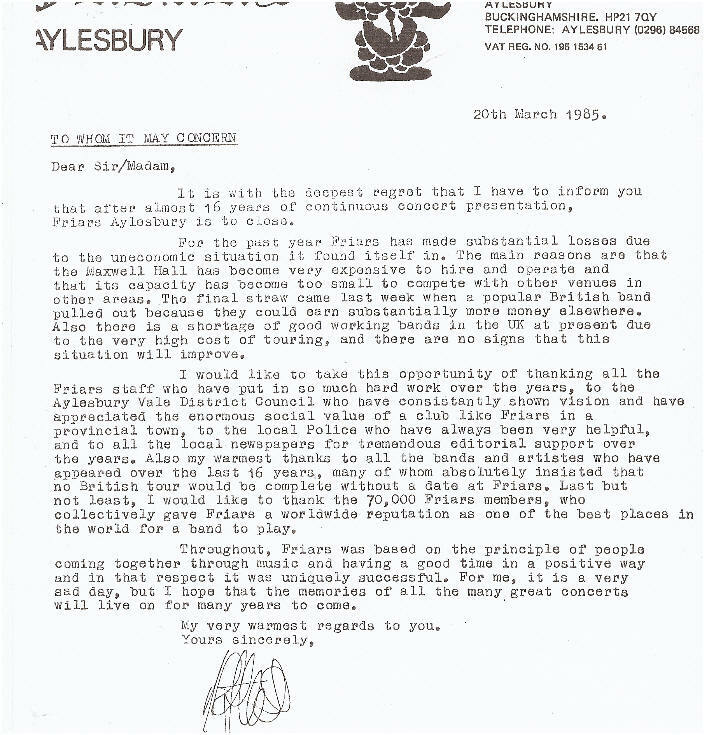 In 1985, David Stopps sent this press release regarding the end of Friars Aylesbury. 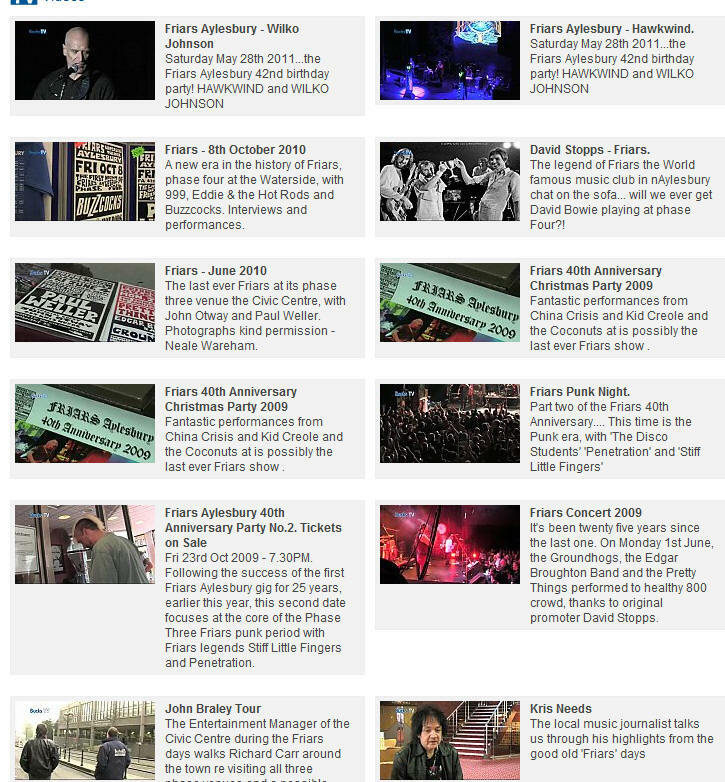 Our friends at Bucks TV have been incredibly supportive documenting all the gigs since we came back in 2009. Before all of that, they very kindly did a feature promoting the website before it was launched. If I look scared in that, I was! Also there's a feature with Kris Needs and John Braley giving a tour of the Friars venues which are worth seeing. Please visit their Friars page to see all of these fantastic features!